The Republican Party has long based its domestic and foreign policy on thinly veiled racism, sexism, homophobia, and xenophobia – and in the Donald Trump era, it’s no longer even veiled. But now that one rookie Democrat in Congress has made a remark that took things too far, the Republicans in Congress are trying to make hay out of it. 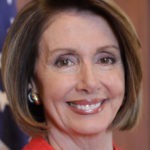 Speaker of the House Nancy Pelosi is having absolutely none of it. Various Republicans are now attacking Democratic Congresswoman Ilhan Omar, demanding that she be removed from House committees. Mike Pence has been hitting her hard. Donald Trump is demanding her resignation. The trouble: these Republicans are all openly bigoted, and would have had to resign a long time ago if they were to hold themselves to their own standards. Nancy Pelosi was asked today if she plans to remove Omar from any committees. Pelosi’s answer: absolutely not. She then went on to spell out the real problem here: “A newcomer member of Congress has apologized for her remarks. It took them what, 13 years to notice Steve King?” Pelosi also called out Trump for failing to take any action when his supporters have chanted antisemitic things like “Jew-S-A” at his rallies. Anyone who has had their eyes open over the past generation in general – and over the past couple years in particular – knows full well that the Republican Party is the party of bigoted hate – and that the openly racist Donald Trump and the openly homophobic and sexist Mike Pence are its perverted new mascots. The Democratic Party has its problems in this regard, but they’re isolated, and the party generally does a good job of policing its own.